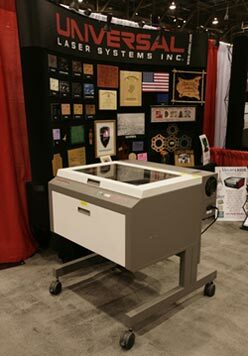 Nicholas Hellmuth looks at the Universal Laser Systems M-300 laser engraver, laser cutter, laser marking systems | Digital Photography. 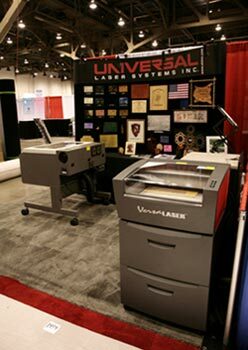 Universal Laser Systems M-300 laser engraver, laser cutter, laser marking systems. During autumn and winter 2006 we will be evaluating CO2 laser engravers, laser cutters, and laser marking systems. We will also comment on YAG laser engravers in the upcoming months. Currently we have a Universal M-300 and a Trotec Speedy 300 for evaluation. The Trotec is larger, more powerful, and has its own air purification system. Thus at some point we would like to evaluate a slightly larger and more powerful Universal Laser Systems system, such as the X-660. Recently we saw some Vytec laser engraving equipment and are interested in evaluating this also. If you have questions about flatbed cutters, you ought to contact individuals who have experience both with flatbed cutters AND with UV-curable flatbed printers. After all, it's foam boards, Coroplast, Sintra, Styrene, plexiglas and many other materials you will need to understand how to cut. One place that where we know the people personally, is Global Imaging (toll free 800 787-9801). 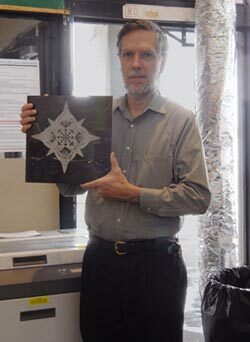 They know about the reality of UV-curable flatbed printers, and know XY cutters. 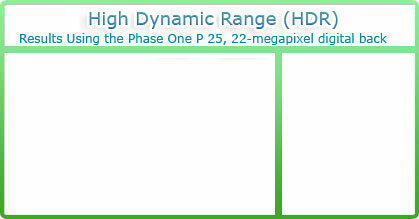 They also know image capture (medium format digital cameras, as an example). In other words, they are at a professional level. This is not a low-bid box pusher where they don't know the difference between UV and solvent ink. If you are accustomed to priority treatment relative to UV printers, and have a printshop that needs to learn at a high level, might as well start at the top (the CEO of Global Imaging): Greg Lamb, glamb@globalimaginginc.com. 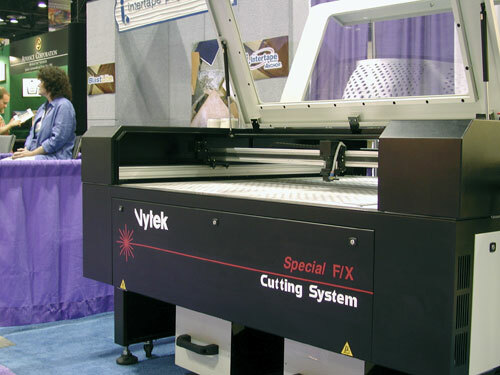 This is the Vytek Special F/X cutter Laser System at ISA 2002. Universal Laser Systems M-300 C02 laser engraver with its results. This laser is used almost daily by architecture students. The results are good. The Trotec Speedy 300, however, is multiple times faster. So we would like to test and evaluate a faster model from Universal Laser Systems in the future. First posted Oct 6, 2006.